If you’re near Perry Highway, and you’re interested in functional fitness in Wexford, please stop by BEAT Fitness. We are the area’s premier venue for functional fitness training and expert coaching. 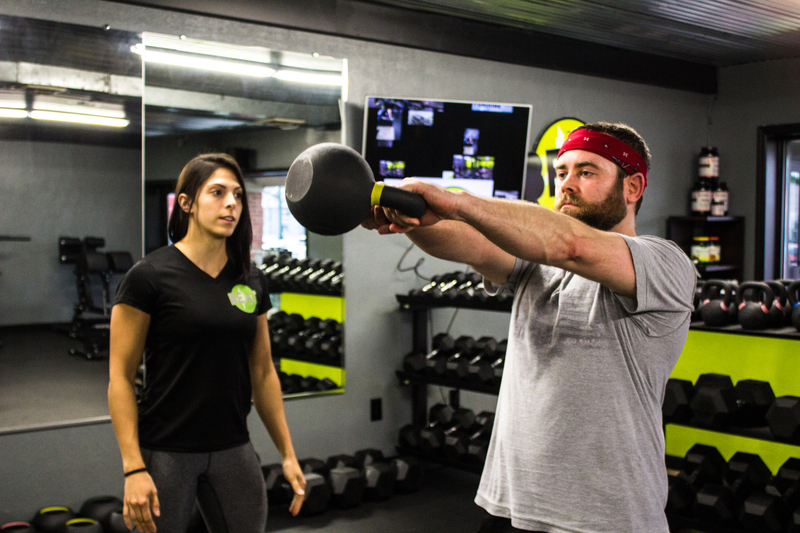 Functional training will help you master the science of ergonomically correct functional movement for practical conditioning you can utilize in everyday life. Americans today can spend anywhere from 9 to 12 hours a day confined to a desk in front of a computer. This kind of sedentary lifestyle means limited mobility and functional movement. At the end of the day, we are wreaking havoc on our bodies and overall health by not moving like the human body was built to do. Heart disease and chronic conditions or inflammation are more prevalent today than ever before. It’s time to get moving, Wexford! Here’s the kicker. Even those of us who hit the gym religiously aren’t in the clear. This is because many of us are working out all wrong. Sitting or lying down and working out with dumbbells or on machines isn’t the answer to sitting down all day at work. Think about it. At the gym, most of us are working out one concentrated muscle or part of the body each day. Usually with a single plane of motion that rarely comes into play for practical purposes in real life. For instance, if someone hands you a 35 lbs. container of cat litter, they usually don’t ask you to curl it for 10 or 15 reps. They’ll need you to carry it from the car, up the steps to the house, and maybe even up to the second or third floor from there. This is a total body exercise requiring more than arm strength or nice looking biceps. You may be lifting with your upper body but your lower body is hauling the load. What if you went into your workout with the mindset that you were training for life – not your looks or vanity. That’s the idea behind our functional fitness training in Wexford. Breathing – Many of us are shallow breathers. We breathe shallowly and quickly from our chest; particularly in times of stress or during physical exertion. This type of breathing will deprive you of oxygen during exercise. You want to use your abdominals and diaphragm for full-bodied deep breathing. Correcting bad breathing habits and strengthening your core and diaphragm are key to better breathing and optimum performance. Core Strengthening – Most people work their core to achieve great-looking six-pack abs. But the actual purpose of functional core training is to stabilize the body. The amazing abs are just a bonus to other benefits like better posture, less back pain, improved range of motion, and more agility. The stronger your core is, the better you can handle heavier loads and further develop whole body strength. Balance – Feeling a little wobbly when you get out of the shower? Find yourself using your arms to push yourself up from a chair? Our balance begins to wane sometime around the age of 35. Functional core exercises help keep you steady and balanced. Coordination – Our Wexford functional fitness sessions involve the simultaneous use of multiple muscles and joints. This trains the neuromuscular system to run more efficiently. Communication between the nervous and musculoskeletal systems is enhanced. Coordinated movements become crisper, smoother, and more precise. Strength – Functional exercises work the upper and lower body at the same time. In life, you don’t get to work different muscles on different days like most of us workout at the gym. On grocery day, you’ll push your shopping cart, load groceries into your car, carry them into your house, unpack and then put them away. We view this as one of life’s mundane tasks – not a total body workout. Yet think of the movements and muscles used through these processes. Aerobic/Cardio Conditioning – Functional training is comprised of quick movements with high reps carried out in short intervals. What may seem like strength exercises are actually aerobic, too. Better Range of Motion – Typical dumbbell or machine training at gyms involve a limiting single plane of motion. Our bodies were built for a full range of motions. The human body can move backward and forward, from side-to-side, and up and down. Our functional fitness training in Wexford utilizes different types of lunges and rotational movements. This keeps the body strong, healthy, and limber with an increased range of motion. GET YOUR FIRST WEXFORD FUNCTIONAL FITNESS SESSION FOR FREE! If you’re interested in functional fitness in Pittsburgh, BEAT Fitness has a variety of plans available. Including a first session that’s absolutely free. Click here for more details or give us a call at 724-900-0323.